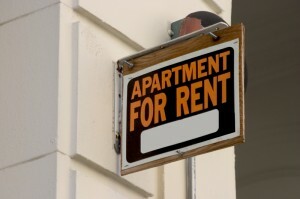 Multifamily leads the recovery, making apartments the most opportune investment. Increasing confidence in commercial real estate is starting to lure investors off the sidelines and back onto the playing field, according to the Third-Quarter 2010 Real Estate Investment Outlook recently released by National Real Estate Investor (NREI) magazine, and Marcus & Millichap Real Estate Investment Services, the nation’s largest real estate investment services firm. Since 2004, NREI and Marcus & Millichap have been tracking investor confidence using the Investor Sentiment Index. After peaking at 148 in 2005, the index began declining sharply, correctly forecasting the record drop in commercial real estate sales velocity and property performance. In 2009, the index bottomed at 91 and has staged a steady improvement to a current reading of 119. Although the index shows that sentiment is still well off peak, the positive trend over the past year confirms that we reached bottom in 2009 and that investor confidence is returning, says Hessam Nadji, managing director, research and advisory services at Marcus & Millichap. Property sales have increased significantly in the past year, although still down from peak levels achieved earlier in the decade. Nearly $111 billion in assets traded hands during the first six months of 2010, a 54 percent increase over the same period last year led by sales of properties valued at $20 million or more which doubled. While the volume of sales boosted investor confidence (more than 58 percent of respondents expectations were met), 39 percent of investors said that sales over the past six months did not meet their expectations. At least part of the disappointment stems from the continued frustration in the market over the limited volume of distressed property sales by lenders, says Nadji. The majority of investors (61 percent) plan to increase their acquisition of commercial properties over the next 12 months, the highest since the start of the financial crisis in 2008. Lending conditions have also started to improve, as more financiers step up their activity levels. One in three respondents (34 percent) believe that institutional lenders have experienced the biggest improvement in lending volume, followed by commercial banks (28 percent) and government-sponsored entities (GSEs), such as the Federal Housing Authority (19 percent). The recent drop in interest rates, the start of a recovery in the commercial mortgage-backed securities (CMBS) market and increased allocation by life insurance companies are helping to move the market; however, buyers and lenders are still very selective by quality of asset and location, says William E. Hughes, senior vice president and managing director of Marcus & Millichap Capital Corporation (MMCC). Multifamily led the recovery in real estate fundamentals, making apartments the most opportune investment. Vacancy declined 20 basis points during the first half of 2010, hitting 7.8 percent. This improvement has set the stage for a forecasted rent-growth of three percent by year’s end. According to the survey, 55 percent of respondents believe now is the time to acquire multifamily, followed by retail (32 percent), undeveloped land (29 percent), hotel and mixed-use assets (26 percent) and office and industrial (24 percent). Apartments really scream when it comes to actual performance and renewed investor confidence because of the release of pent-up renter demand and reversal in home-ownership trends. There is plenty of momentum to carry the market for a while, but eventually stronger job growth has to kick in, explains Nadji. Despite renewed confidence in CRE, respondents remain concerned with the instability of the U.S. economy and its inability to sustain solid job growth. The largest group of respondents (42 percent) believes that the relatively slow pace of job growth reflects the sluggish recovery, while 33 percent believe it reflects uncertainty stemming from issues of taxation and the recent overhaul of the U.S. banking system. The investment market is bifurcated with top-quality assets dominating the sales activity and showing price appreciation as a result. This flight-to-safety trend should turn into a broader recovery in investment sales once we get through the current economic downshift, which should happen by mid-2011 with the expectation that we avoid a double-dip recession, notes Nadji. Owners of hospitality properties exhibited a surge in confidence with 39 percent of the respondents projecting a rise in ADR in 2011. In 4Q 2009, only seven percent of owners anticipated an increase in ADR. Even though retail fundamentals remain weak, 44 percent of current owners think now is the time to buy more retail; closely split with 46 percent who think its time to hold, and 10 percent who believe it is time to sell. Nearly half (47 percent) of office investors believe effective rents will decline in 2010 while 41 percent of retail investors expect rents to drop. Industrial owners are more optimistic with only 22 percent anticipating a decline. Believing industrial rents have stabilized, 43 percent of respondents who already own industrial think now is the time to buy more. 36 percent of office-building owners think now is the time to add to their holdings.